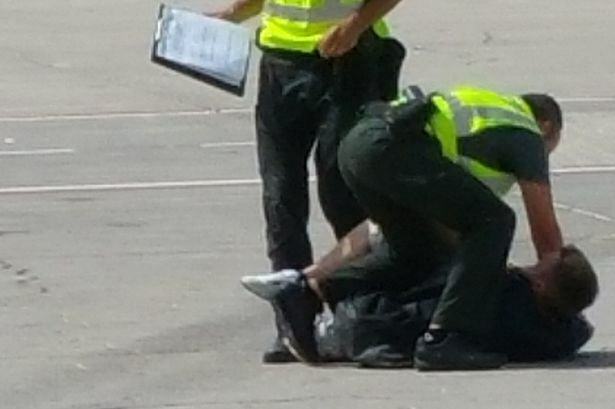 One British passenger has been handed a lifetime ban by Ryanair after his behaviour caused him to be pinned down by Spanish police following his actions on a flight to Tenerife. The guy is thought to be in his twenties and was acting in an inappropriate manner towards female passengers sitting on the row in front of him on the flight, and even tried to begin a fight with a male passenger who tried to defend the women. He was sat at the back of the plane and me and my partner were in the middle so didn’t really know what was going on at first. Nicky came back to our seats and said something was kicking off at the back of the plane. Some other passengers were moved forward from the back to behind us and said he kept trying to touch the girls sat in front of him. I think it all kicked off because a bloke stuck up for them. He tried to fight him but then he passed out in the toilet for at least half an hour, maybe an hour. It all calmed down a bit but kicked off again when we landed. The captain said the police needed to come on board and when they took him off they literally had to carry him off by his feet and arms. 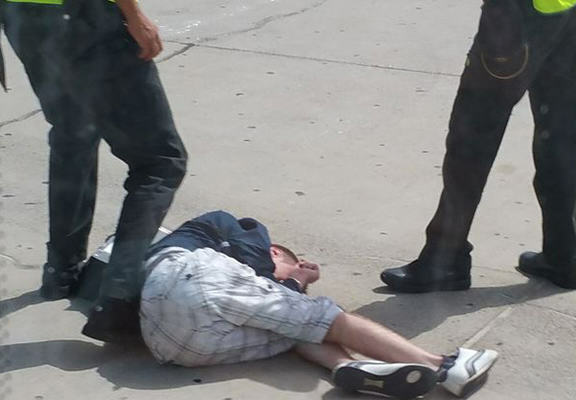 They didn’t handcuff him. He tried to punch one of the staff as he was taken off and he kept having a dig at the police officers as well, that’s why they kept putting him on the ground when they got him outside. He was still on the Tarmac when we got off the plane. The crew of this flight from Bournemouth to Tenerife requested police assistance after a passenger became disruptive in-flight. 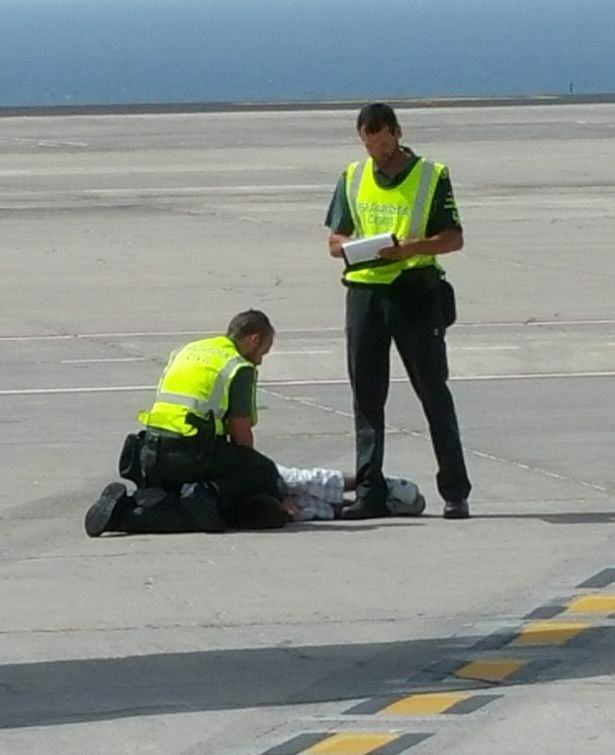 The aircraft landed normally and police removed and detained this individual upon arrival at Tenerife. We will not tolerate unruly or disruptive behaviour at any time and we sincerely apologise to other customers for any inconvenience caused. The passenger was seen in the Duty Free buying a bottle of Scotch before boarding the flight, but it has not been confirmed if he was drunk or not. Either way, the behaviour has managed to get him banned for life from Ryanair flights.